The girls had a great time at MUFG Securities' Bring-your-kids-to-work Christmas Party. Thanks to Kathy Ng for organizing! The girls are happy with cake pops from the company bake sale. Thanks Kathy yee-yee! On December 4, 2016, Van, Nat and Vic completed the 3 km Family Fun Run with Lisa yee-yee. Well done, girls! And thanks to Ba-ba for bringing them to the event. While Natalie ran, Lauren and Ashley had a great time playing at the various activities organized by the RBC team. It was a truly family-fun event. Video 893 - Natalie finishing the RBC 3km Fun Run -- well done, Nat! We arrived a bit late (after swimming) but still had a blast at S's birthday party! Lauren painted a cupcake ceramic and everyone participated in the treasure hunt on the roof. Friends, fun, pizza, pigs in a blanket, park, cake and loot bags -- of course everyone had a great time - thanks for having us! 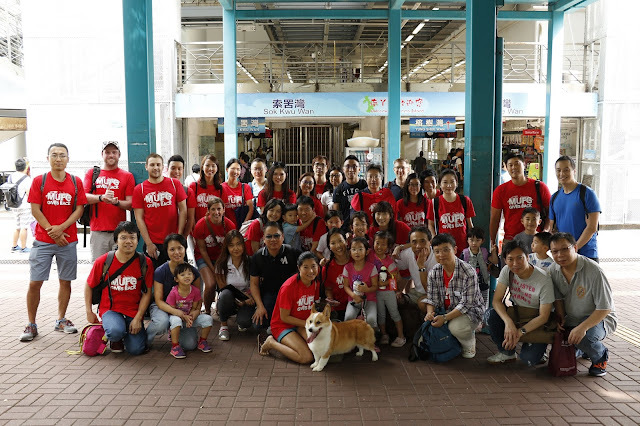 This Saturday, I took the girls along with me to MUFG's Beach Cleanup event on Lamma Island. 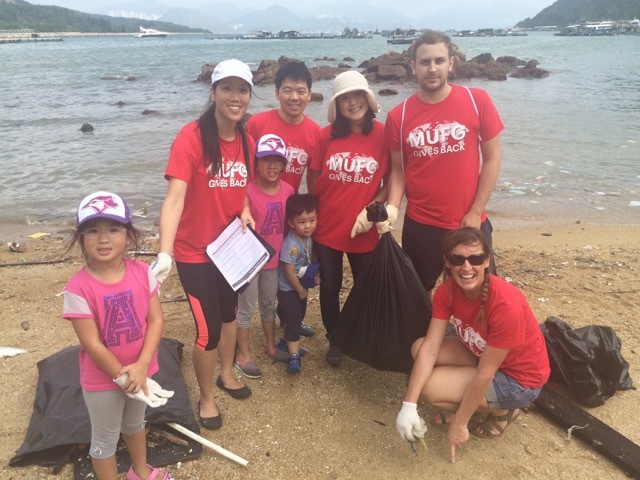 We spent time cleaning the beach (filling 28 garbage bags) and then had a nice seafood lunch at Peach Garden Restaurant. 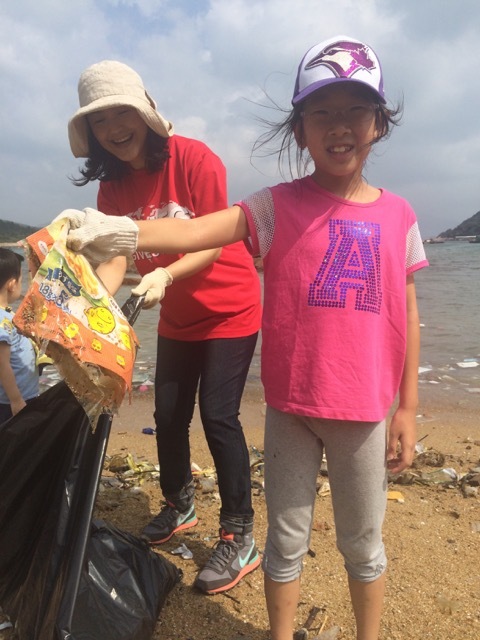 The girls did great at picking up trash from the beach and even said "I don't understand why people can't just throw garbage in the garbage!" and "Isn't recycling even better?" This term it's soccer for Ashley and Lauren, gymnastics for Natalie and swimming for all of them. Natalie already has experience with gymnastics during summer camp in Toronto and is enjoying the lessons with Olivia. Lauren is in a class with only boys (she is the only girl) and the teachers are very impressed with her can-do attitude. And Ashley enjoys the different activities and music in her little class with Emily.